Boston, MA — Two widely used neonicotinoids—a class of insecticide—appear to significantly harm honey bee colonies over the winter, particularly during colder winters, according to a new study from Harvard School of Public Health (HSPH). The study replicated a 2012 finding from the same research group that found a link between low doses of imidacloprid and Colony Collapse Disorder (CCD), in which bees abandon their hives over the winter and eventually die. The new study also found that low doses of a second neonicotinoid, clothianidin, had the same negative effect. The study appears online May 9, 2014 in the Bulletin of Insectology. “We demonstrated again in this study that neonicotinoids are highly likely to be responsible for triggering CCD in honey bee hives that were healthy prior to the arrival of winter,” said lead author Chensheng (Alex) Lu, associate professor of environmental exposure biology at HSPH. Since 2006, there have been significant losses of honey bees from CCD. Pinpointing the cause is crucial to mitigating this problem since bees are prime pollinators of roughly one-third of all crops worldwide. Experts have considered a number of possible causes, including pathogen infestation, beekeeping practices, and pesticide exposure. Recent findings, including a 2012 study by Lu and colleagues, suggest that CCD is related specifically to neonicotinoids, which may impair bees’ neurological functions. Imidacloprid and clothianidin both belong to this group. Lu and his co-authors from the Worcester County Beekeepers Association studied the health of 18 bee colonies in three locations in central Massachusetts from October 2012 through April 2013. At each location, the researchers separated six colonies into three groups—one treated with imidacloprid, one with clothianidin, and one untreated. There was a steady decline in the size of all the bee colonies through the beginning of winter—typical among hives during the colder months in New England. Beginning in January 2013, bee populations in the control colonies began to increase as expected, but populations in the neonicotinoid-treated hives continued to decline. 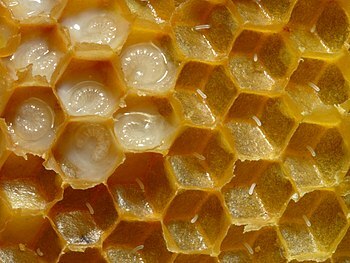 By April 2013, 6 out of 12 of the neonicotinoid-treated colonies were lost, with abandoned hives that are typical of CCD. Only one of the control colonies was lost—thousands of dead bees were found inside the hive—with what appeared to be symptoms of a common intestinal parasite called Nosema ceranae. While the 12 pesticide-treated hives in the current study experienced a 50% CCD mortality rate, the authors noted that, in their 2012 study, bees in pesticide-treated hives had a much higher CCD mortality rate—94%. That earlier bee die-off occurred during the particularly cold and prolonged winter of 2010-2011 in central Massachusetts, leading the authors to speculate that colder temperatures, in combination with neonicotinoids, may play a role in the severity of CCD. Funding for the study came from Wells Fargo Foundation and the Breck Fund at the Harvard University Center for the Environment. Harvard School of Public Health brings together dedicated experts from many disciplines to educate new generations of global health leaders and produce powerful ideas that improve the lives and health of people everywhere. As a community of leading scientists, educators, and students, we work together to take innovative ideas from the laboratory to people’s lives—not only making scientific breakthroughs, but also working to change individual behaviors, public policies, and health care practices. Each year, more than 400 faculty members at HSPH teach 1,000-plus full-time students from around the world and train thousands more through online and executive education courses. Founded in 1913 as the Harvard-MIT School of Health Officers, the School is recognized as America’s oldest professional training program in public health.